We provide free dental care to people below 150% of the federal poverty level with no Oregon Health Plan Dental Coverage or other dental insurance. Click on the link below to see if you are below 150% of the Federal Poverty level. 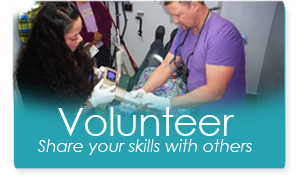 Free Dental Services include Dental exam, Digital X-rays, Extractions, and Fillings only. We do not provide root canals, crowns, or dentures.